This Color Cool Coloring Book features a collection of 28 of Thaneeya's previously published coloring pages repackaged in this handy, portable format. My Color Cool Coloring Book is a convenient, compact size designed to be slipped into your purse and used anywhere! 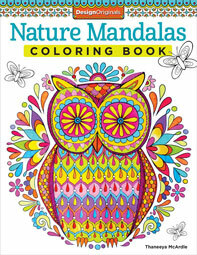 It's filled with 28 selected coloring pages from my previous books. This slideshow allows you to preview every page of my Color Cool Coloring Book. You can find my Color Cool Coloring Book in various brick and mortar stores (like Books-A-Million) and online via the links below.